It is currently the time of the season where everyone working in fashion has long forgotten about Autumn Winter 14. Spring Summer 15 shoots and features are all wrapped up and our focus shifts to Autumn Winter 15 with a sprinkling of attention on Spring Summer 16. Nobody could accuse us of living in the past, although I think most of us have a penchant for vintage glamour and a love for an iconic collection from days gone by. 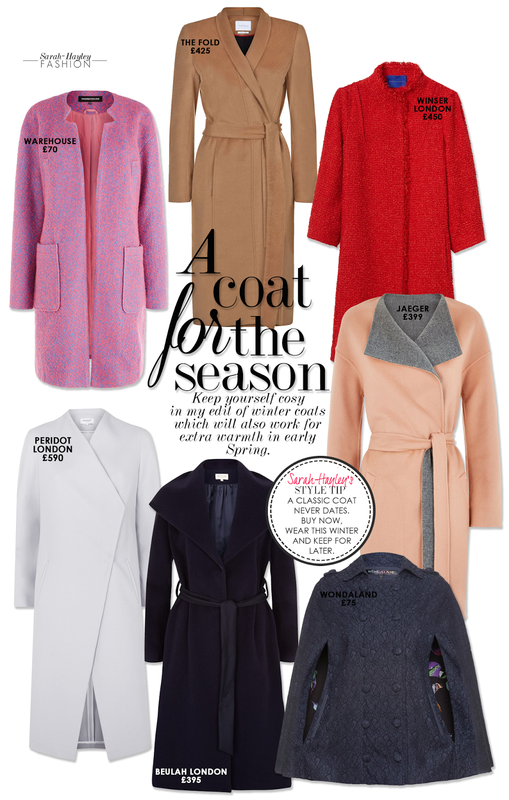 However in the retail and shopping world, Autumn Winter 2014 is still on the shop floor and in sale. This is great news for savvy shoppers, like you, who can look think past the trends and focus on statement and classic pieces which will last in your wardrobe much longer than the season you bought them in. 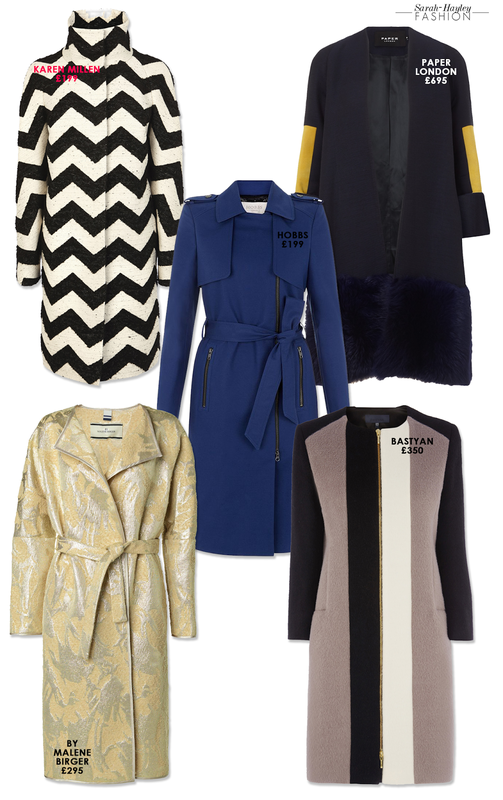 Take a look below at my edit of winter coats which offer an enduring quality, from colour, shape, texture or pattern. What's more, most are in the sale... so what are you waiting for? !